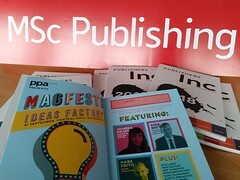 One of the most important reasons I chose Edinburgh Napier University’s MSc Publishing course was because of its close association with the Professional Publishers Association (PPA). Being the voice of professional publishers for decades now, PPA supports various companies from consumer magazines publishers, customer magazine publishers to smaller independent publishers within the UK’s publishing sector. They also provide the members with vital information, data and research alongside helping those who are new in the publishing industry. Most of all, PPA provides its members, industry professionals, newcomers and even students the much-needed networking opportunity which allows for the exchange of ideas and on which the publishing industry thrives. One of the biggest challenges initially faced by students and other new entrants in the publishing industry is certainly ‘Networking’ at the professional events. It does seem daunting at first but in fact, people from the industry gladly meet students and are encouraging and willing to extend support. They tell us about their jobs and experience, offer advice and answer any questions we might have. For an instance, DC Thomson’s Sally Hampton was of great help to me in my case study for the Publishing in Context module. Events, the professional ones or semi-formal ones like a book signing event, author talk, books launches or launch parties are appropriate platforms for networking and the first event, which we publishing students attended, was the Magfest. 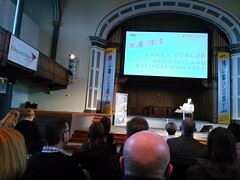 It was organised by the PPA and Edinburgh Napier University was one of its sponsors and supporters. Magfest is Scotland’s biggest magazine event, which attracts magazine publishers, students, enthusiasts, and publishing professionals. The theme for 2017 was Heroes and Visions and there were talks by Ian Rankin, Alex Miller, the Executive Creative Director of Vice UK, Zillah Byng-Thorne, the Chief Executive of Future Plc, Paul McNamee, the Chair of PPA Scotland and the Editor of Big Issue amongst others inspiring speakers. 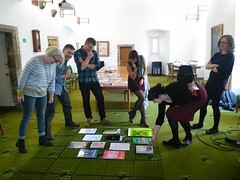 Also, there were workshops such as ‘Get Your Hands on Trail- Blazing Magazines’ by Neil Braidwood, ‘Sign me up: Subscriptions in an Online World’ by Luise Mulholland, ‘From Print to Live’ by Simone Baird and a panel discussion on ‘Audiences of the Future.’ Founders of new magazines like Boom Saloon, Marbles and Word-O-Mat introduced their magazines as well. The day before was the Magfest pre-event, The Fringe where Paul McNamee interviewed Lucy Cave, Editor-in-chief of Heat. Attending such an event in the very first month of the course was much beneficial as it gave us an insight into the industry of which now we are part. More recently, in November 2017, PPA Scotland organised The Scottish Magazine Awards. A true celebration of Scotland’s magazine industry, it was hosted by BBC Scotland’s Judith Ralston and the judging panel composed of some of the biggest names in the publishing industry like Wired’s Andrew Diprose, Diane Kenwood from Time Inc, Matt Phare from Shortlist, Sally Hampton from DC Thomson and Heather McLaughlin from Pinpoint Scotland to name a few. Prices were awarded for Brand Extension, Columnist, Business and Professional Magazine Designer, Newspaper Supplement, Member Magazine, Feature Writer, Sales Performance, Social Media Campaign etc. The PPA also helps foster and advance careers by including categories such as New Launch, Rising Star, Small Publishing Company Magazine and Young Journalist. They are not only encouraging but also paving a way for the new entrants and small-scale businesses. The attendees of the professional yet glamorous awards nights were the hotshots of the industry. 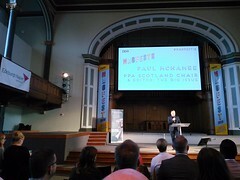 Thanks to PPA Scotland, we were given a chance to attend and the experience was truly wonderful. It was remarkable to note that although the people present were essentially competitors, yet at the same time were extremely supportive of each other. Publishing is an industry where maintaining relationships is imperative, be it with agents, author, readers and other publishers and PPA does a brilliant job of bringing people together and works to ensure that the industry as a whole prospers. The contribution it has made so far and which the organisation will continue to make in the future is invaluable and as a student, someone who is relatively new to the industry, it is assuredly reassuring to know and see the Professional Publishers Association acting as a guardian.